15055STA Maisto All Stars Elite Transport - COE Flatbed/1960 Ford Starliner Hard Top. 1:64 scale diecast collectible model. 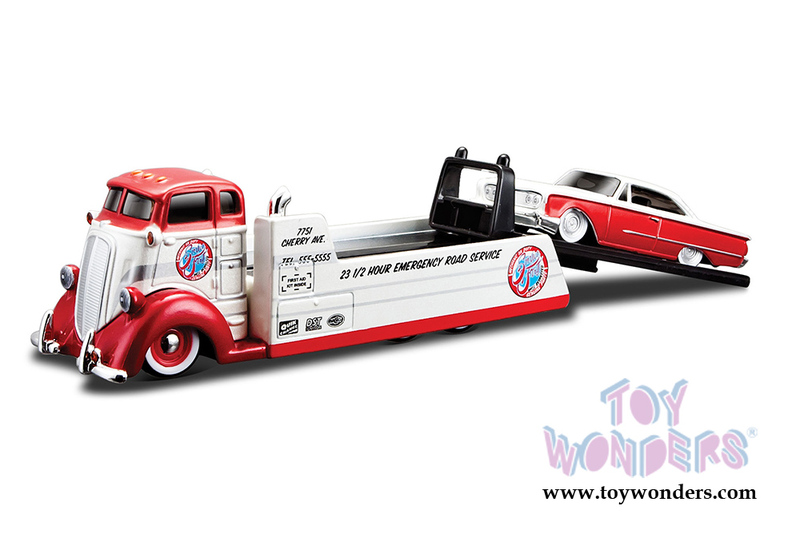 COE Flatbed is approx. 5½" long. Ford Starliner is a 3" long die cast metal car. Each set is individually blister carded. Card size: 8.75"W x 6.75"H. 6 pcs/case. 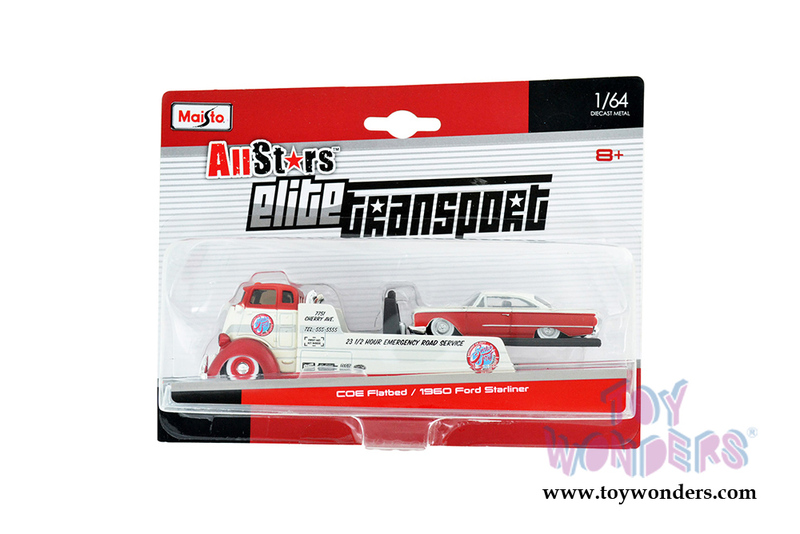 This Elite Transport set is manufactured by Maisto. Item 15055STA Flatbed is in RED color, Ford Starliner in Red with White top. To see more die-cast Wreckers (click here).